The tennis/social club at Falls Creek has just installed a wood-fired pizza oven in the barbecue area near the playground. The intention is make it available to the wider community, especially ski clubs. 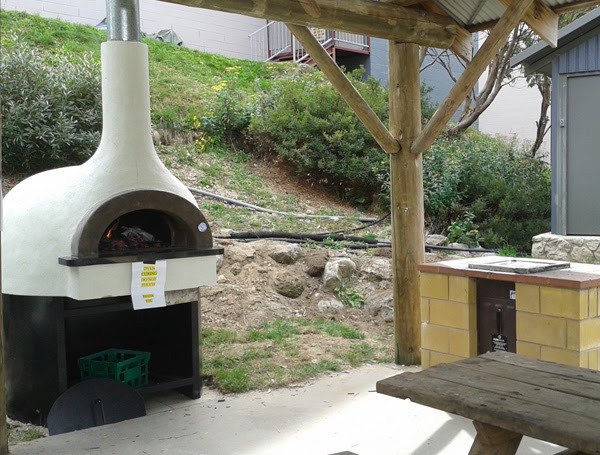 Details are still being worked out, but it is expected that for a modest fee (mainly to cover the cost of appropriate wood) and a bit of notice, the pizza oven will be available to club members who wish to use it. The Annual General Meeting will be on Tue May 24th, venue to be advised. Once again all rooms in the lodge were booked for the Peaks cycling weekend and all our guests seemed very happy with the facilities. Peaks Challenge Falls Creek is the 235 gruelling kilometre loop from Falls Creek, over Tawonga Gap, Mt Hotham and the Bogong High Plain - in a 13 hour time limit. Held on the Labour Day weekend in March each year this event is huge and needs every bed that the village can provide. This is a welcome boost to summer income but it's also an important step in the overall growth of Falls Creek as a summer destination. "It's a crazy busy weekend. 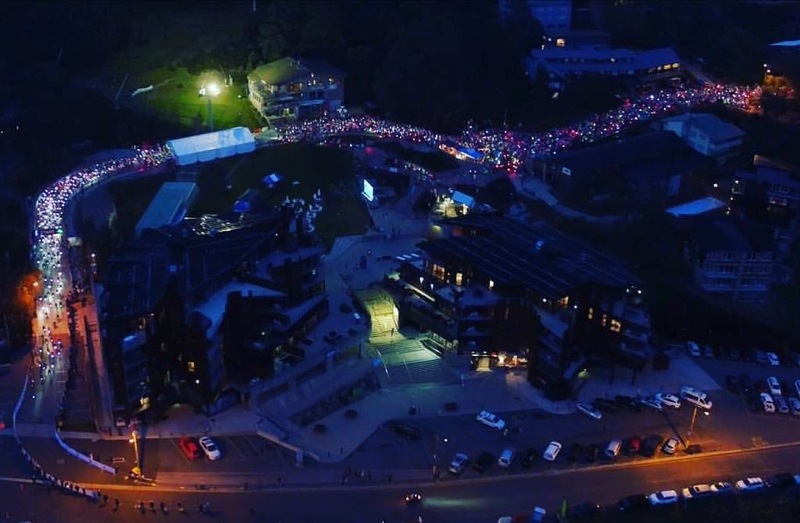 It is the biggest event that Falls Creek sees all year. Great atmosphere in the village. Finish line was a great spot to be." The lodge books out very early for this event, so if you'd like to come up and part of the festive atmosphere (or participate in the ride) you need to book early. There is no longer an opening date for summer bookings, so don't wait till spring. There is a special package for the lodge for the event: minimum 3 nights with linen and cleaning provided. 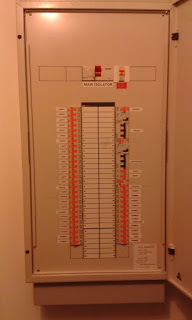 The original electrical switchboard was practically at capacity and needed to be replaced. This would be a costly but necessary exercise for the future safety of the lodge. This work was undertaken in late January - early February. 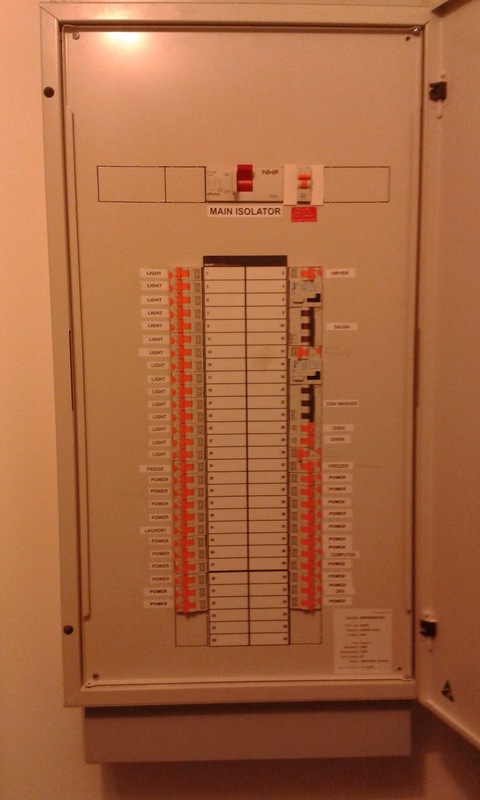 We now have a modern switchboard with capacity to cater for future growth. All the electrical circuits including switches and power points have been labelled and some minor faults rectified. As an added bonus, many of the power points in the lodge (including in the lounge and mezzanine) now have additional USB power points to cater for our ever increasing number of phones, tablets and laptops. After 30 April the price goes up to $325. This offer is only for online sales.